Jack was born in Orlando, FL during the Pre-Disney World Epoch and started cartooning before entering the first grade. He grew up on the beaches of the East coast of Florida in Daytona Beach and later Melbourne. Cassady graduated from Melbourne High School and attended Furman University in Greenville, SC. At Furman Cassady played freshman football and belonged to the Kappa Alpha Order. He majored in Art, became the student newspaper editorial cartoonist and won Furman’s Maxwell Award in Art upon graduating with a B.A. degree. Cassady was also a Distinguished Military Graduate from Furman’s Army R.O.T.C. program. Later he earned an M.A. degree in Education from Furman and taught there in the Army R.O.T.C. program. Jack went on to serve 22 years as an Army Officer. His command and staff assignments ranged from the historic 82nd Airborne (“All American”) Division and various Special Forces units in combat, to positions in the 18th Airborne Corps Headquarters and the 1st Region Army R.O.T.C Headquarters junior and senior programs. He also served as Professor of Military Science and Chairman of the Army R.O.T.C. departments at Georgia Military College and the University of Tennessee at Martin. Cassady has many U.S. military and foreign awards and decorations. While in the service Jack began freelancing gag cartoons to magazines and publications as a hobby. He retired from the Army at the rank of Lieutenant Colonel. After leaving the service and returning to graduate school at Memphis State University (now the University of Memphis) Cassady earned another M.A. degree in Independent Studies focusing on the academic areas of Illustration, Design and the Copyright Law for Visual Communications. 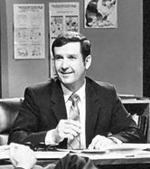 It was during this time he created, produced and hosted the Public TV series called “Funny Business, the Art in Cartooning” in conjunction with his good friend Harmon McBride, the executive producer of Tennessee’s largest Public TV station, WDCN in Nashville, TN. Thirteen half hour episodes of the popular series were seen in approximately 38 states over a three year period. Cassady taught cartooning at the University of Memphis in the Continuing Education program. He also founded a club of area cartoonists, writers, collectors and fans who enjoyed cartoon art. The Mid-South Cartoonists Association is still flourishing in the Memphis area. After graduate school in Memphis, Cassady returned to Florida and opened a small graphic arts studio in North Tampa specializing in Cartooning and Humorous Illustration. He continued teaching part time at the University of South Florida, St. Petersburg Junior College and Hillsborough Community College. He taught Cartooning, Basic Design, Drawing, Illustration, Professional Practices and Art Appreciation courses. Many weekends found Jack providing entertainment by drawing caricatures for business meetings, parties, clubs and conventions in the Tampa Bay area. He also conducted several work shops on the copyright law for visual communications. Cassady has lectured at colleges, universities, art schools and agencies throughout the country and has written many articles for publication on the subject. He also started another club catering to cartoon arts and those who do it and love it in the Tampa/ St. Petersburg/Clearwater area. The Suncoast Inkslingers Club (S.I.C.) 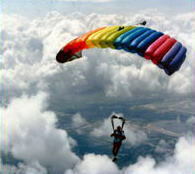 was born around 1994 and is still going strong and has expanded to include members from Central Florida. 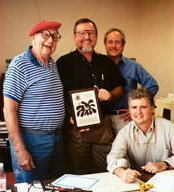 Cassady was given the opportunity to become the Chairman of the Department of Sequential Art at the Savannah College of Art and Design in Savannah, GA in 1998. While at SCAD he reorganized and relocated the unique department and led them through an Academic Accreditation inspection. Jack also taught Cartooning, Sequential Art/ Visual Storytelling, Graduate and Undergraduate Figure Drawing and Art Business classes. 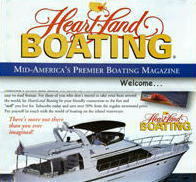 He left SCAD and became the Art Director for the prestigious Heartland Boating Magazine. He’s active in numerous church, community and national organizations and still finds time for drawing, painting, photography, reading, writing, hiking, FPS multiplayer computer internet games and an occasional skydive. Jack is a public speaker and has made numerous presentations about the funny business of cartooning to audiences of all sizes and ages. He created, produced and hosted the public TV series, “Funny Business-the Art in Cartooning”. He also served as an Artist-In-Residence for the city of Germantown, TN and was selected to participate in the Artists in Education Program by the State of Florida from 1995-98. An authority on the Copyright Law for Visual Communications, Cassady has presented seminars, lectures and workshops to various schools, visual artists and businesses across the nation. Founder/Past President, Suncoast Inkslingers Club, Inc. Being Gifted in American Schools, Addison Wesley Publishing Co. Essential Idioms In English, Regents Publishing Co.
Thirty Years of Raising Standards, Serbin Communications, Inc.
DUNEDIN FINE ARTS CENTER, INC.